Yet again there comes an end for a year and rise of a new year as usual. Innumerable wishes from friends and relatives started flowing in through messages and calls normally. Celebrations indeed start that way and this is the time when one of the most interesting questions starts popping out. 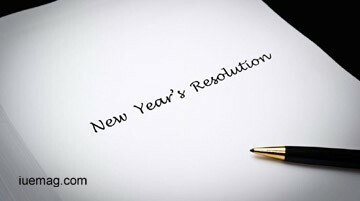 As most of us would have come across, “What’s your New Year resolution?” I hadn’t even thought of one and to answer this question, I had to think about it. I just scanned through my memories of past year to just debrief everything. When a person indulges in any of his work with full zeal and commitment, he is certain to face and take up challenges. When he starts overcoming his challenges, he becomes more confident to face further more challenges. This in long run becomes a habit and that’s exactly how one starts enjoying his work. Quite similar has been the case with me. I have got numerous opportunities to become a better person than yesterday, learn and perform as well. They might have resulted in failure or success but ultimately have helped me to learn and experience a lot. Definitely, the youth of today have lot of exposure and scope for opportunities through media, Internet, Educational Institutions, etc. They just lack direction and a purpose to perform even though there is exposure and platform. But if the energy and talent of youth are properly channelized, they undoubtedly can create wonders. The things which I have just come through in my past year have made me realize my potential and taught me some of the strongest lessons of life. Considerably, they’ve made me much stronger. Experiences teach you a lot. But taking a lesson out of that in a right manner is also most important. Any facts, figures or references stated here are made by the author & don't reflect the endorsement of iU at all times unless otherwise drafted by official staff at iU. This article was first published here on 5th February 2015.